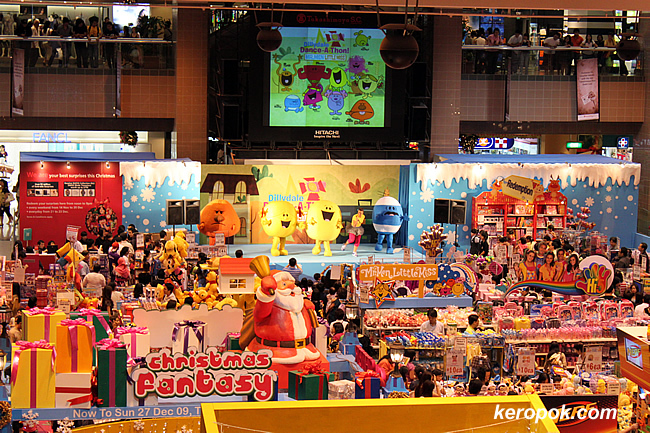 Mr Men and Little Miss performing on stage to shoppers at the Takashimaya Shopping Centre Basement. aww..i remember going to this when i was younger about 9 years ago and it was Hello Kitty and company performing. Time passes so quickly eh? I think I remember there was a hello kitty show long ago, just did not know it was 9 years ago! That photo is a bit like an optical illusion. At first glance I thought it was a shop window display!